I recently had this blog post featured on Microsoft UK School Blogs. I have been a keen user of a Microsoft Surface for a while and I think they are great devices. 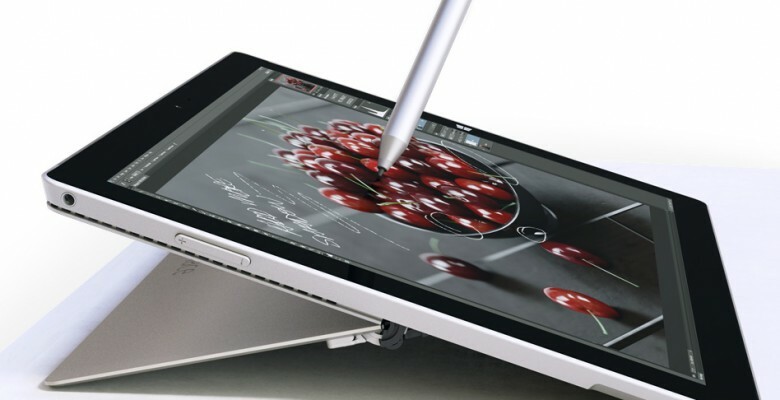 The style and design are far superior to its competitors and Microsoft keeps improving the Surface with every release. It is only very recently that I have realised how good the Surface Pen is. On my Surface Pro, I used the pen a handful of times but it was used as a replacement for using my finger. Over the past few weeks, I’ve been using a Surface 3 and the pen has massively impressed me, from the free handwriting to the quick screen grabs and app launches. In this blog post, I thought I would share with you the great things that I have been using the Surface Pen to do. I was highly impressed with the precision of the pen when I was writing with it. There was no delay and what I was writing was accurate, appearing exactly the same as writing on paper. Not only does writing feel great on the Surface but with the use of OneNote you can convert your writing into text format. Only the other day I did this by scribbling down notes quickly and then clicking on ink to text within OneNote (desktop app) and was able to convert my messy handwriting to text. I could then copy that text to an email to send on. This is a satisfying way for children to get the experience of handwriting then promptly convert their work into a printed text for that professional presentation. I often find while working that I want to quickly take a screenshot of something that I’m looking at but only of a certain section of the screen. I would normally press print screen and then paste it into MS Paint and edit the picture and save it. When I discovered you could screen grab using the Surface Pen I thought, “I bet it’s fiddly to do?” It couldn’t be easier! A double press of the top of the pen will take a screen grab and then dump it into OneNote. From here you can snip it to what you want and either leave it in your OneNote or you can export it to use in whatever way you want. The Surface Pen comes with its own app where you can customise some of the settings of the pen. You can alter the pressure settings of the pen to make it best suit you. You can also set it to facilitate whether you are right or left handed. Being left handed myself, this made me very happy to see as usually us lefties get stuck having to adapt to the right handed way of things. Like all pencils, the Surface Pen comes with its very own rubber. If you make a mistake it’s really simple to rub out that mistake. Pressing the bottom button activates the rubber and then you can touch the pen on anything you’ve drawn or written that you want to rub out. Instead of having to rub the pen constantly to rub something out you just press on that one letter or line and it will erase it. The final speciality of the Surface Pen is the quick launch of either the OneNote app or the desktop version of OneNote with one simple press of the top button. This gives you an even quicker way to jot down your notes.